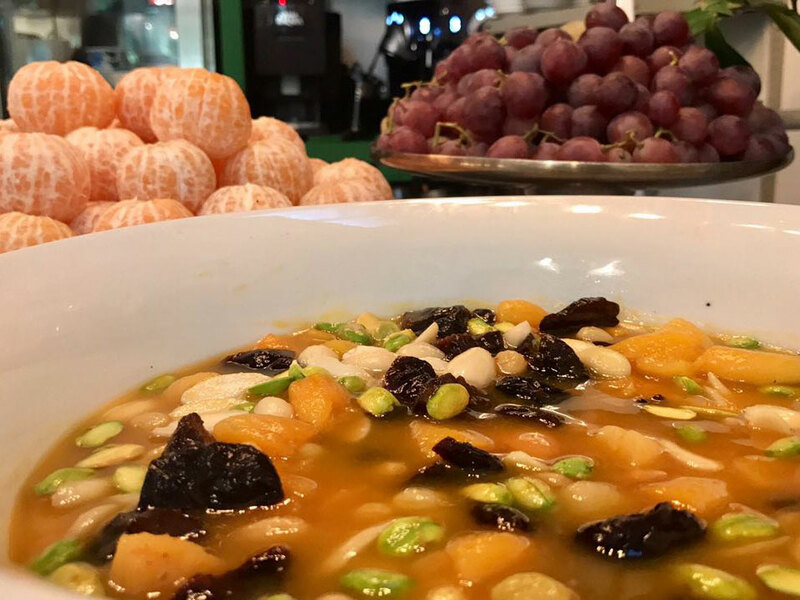 Damascus is known for its apricots, which are preserved as dried fruits or as ammaredin, thick apricot paste dried in sheets, which must be soaked and diluted in water to make the khoshaf. Fatteh is typical souk food, mainly of the souks of Damascus. Already prepared ingredients are mixed at the last minute and served immediately—cooked chickpeas, yogurt, grilled bread, and traditionally browned butter or ghee drizzled on top. 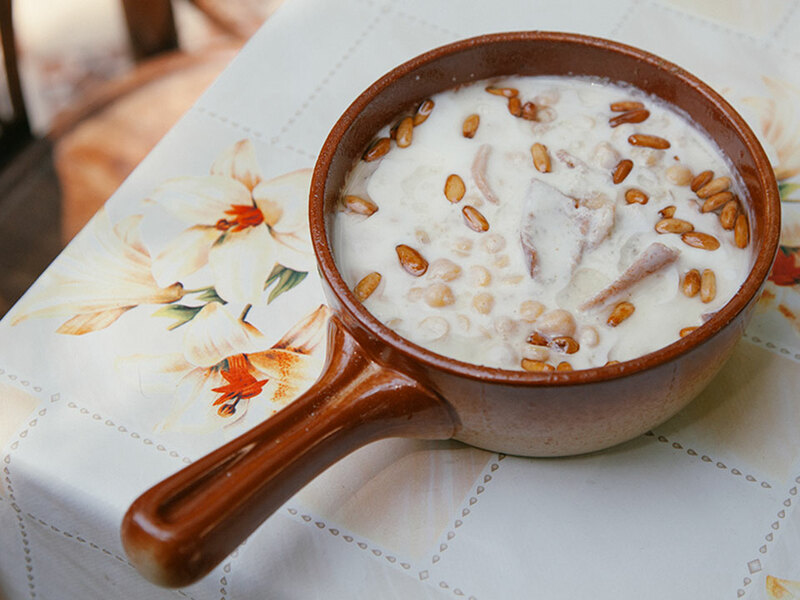 A fatteh must be served and eaten quickly, before the grilled bread gets soggy from the yogurt. 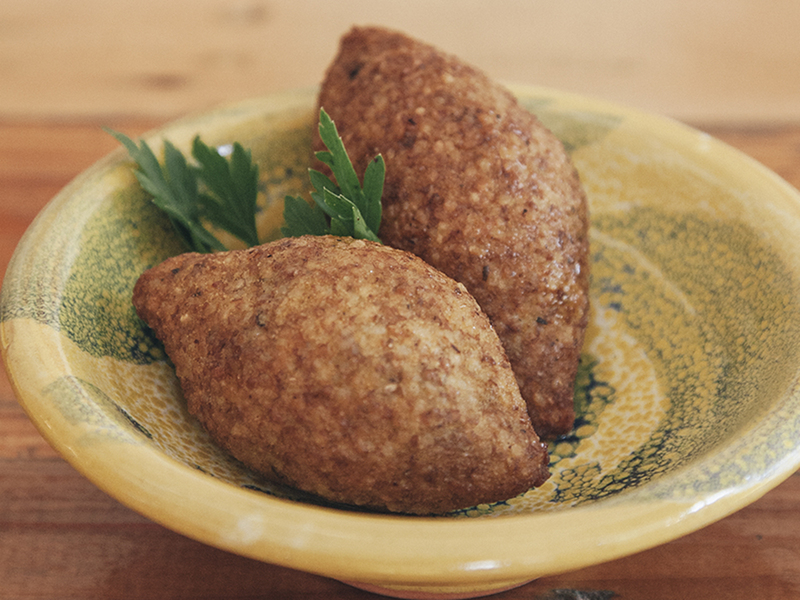 A Lenten staple, kebbet laa’tin is the definite mountain vegetarian kibbeh. 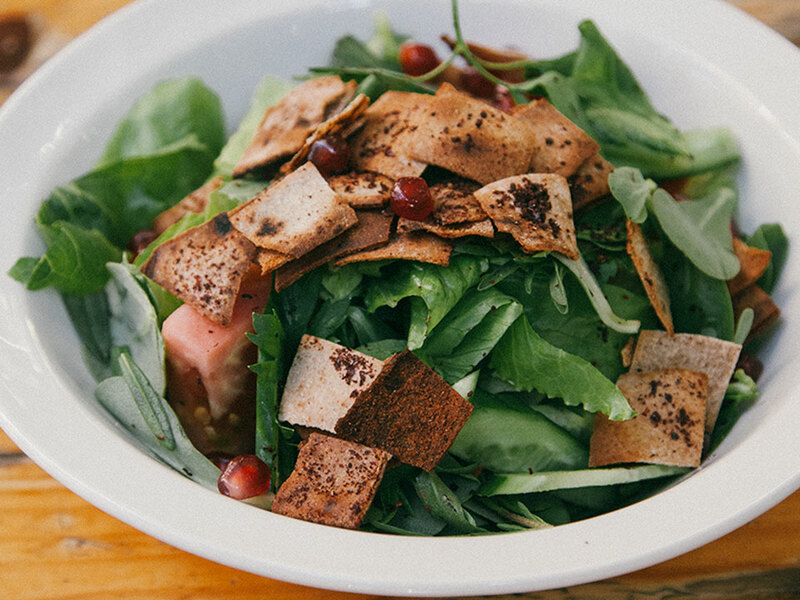 It is easy to prepare with the garden’s bounty of pumpkin (which keeps all year, and from harvest to harvest) and wild herbs, the best of which is obviously homeyda, the spring wild sorrel leaves, which add a special lemony taste to the stuffing. What makes a Good Friday dish? 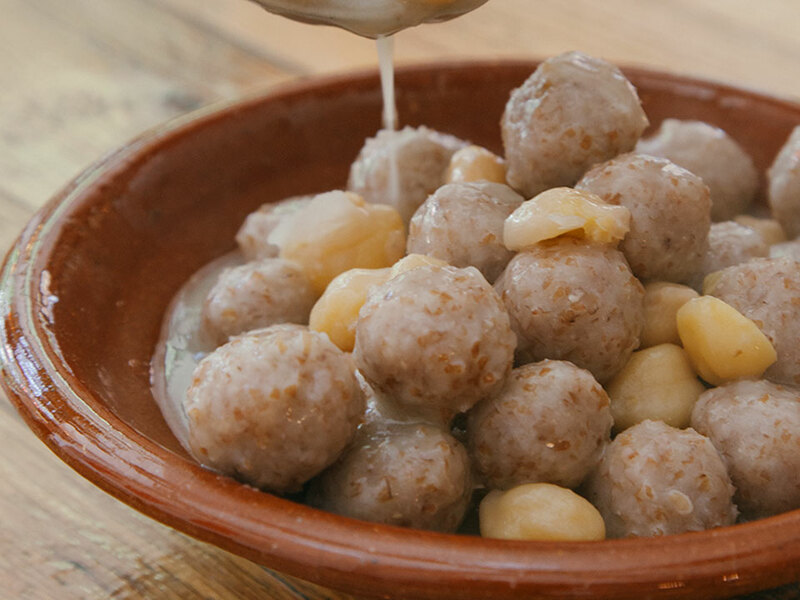 In the village of Jezzine and other areas of the South, the answer is this stew. 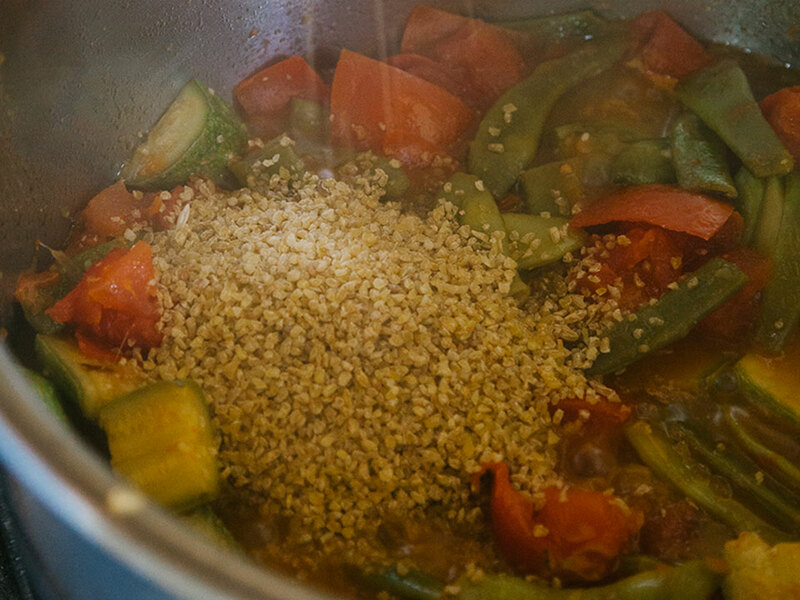 Makmoura, or mattmoura, means “buried,” referring to the vegetables buried in the bulgur. This is a very typical mountain dish . . . if you say bulgur, you say mountain dish! Frikeh is a specialty of South Lebanon, Palestine, and Southern regions of Syria. 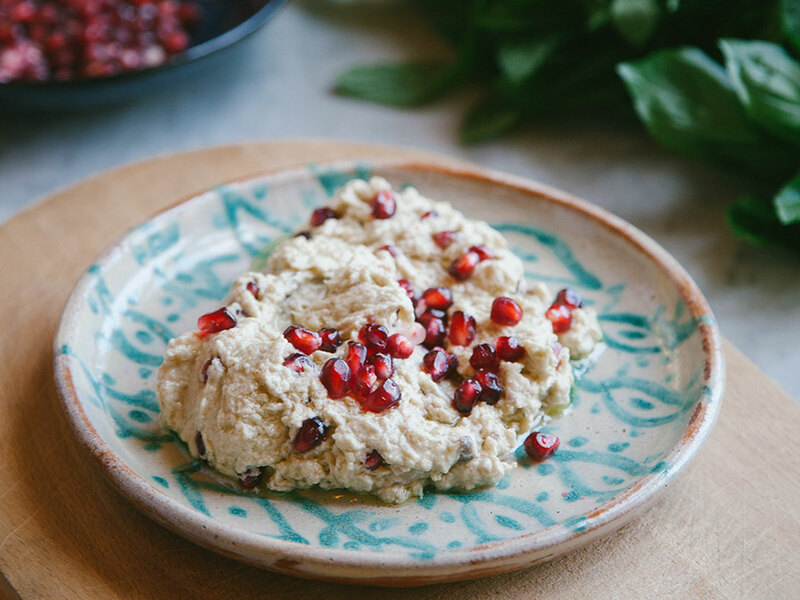 Zeinab Kashmar has devised the best way to cook frikeh: She sautés the grains to add to their nutty, smoky taste. 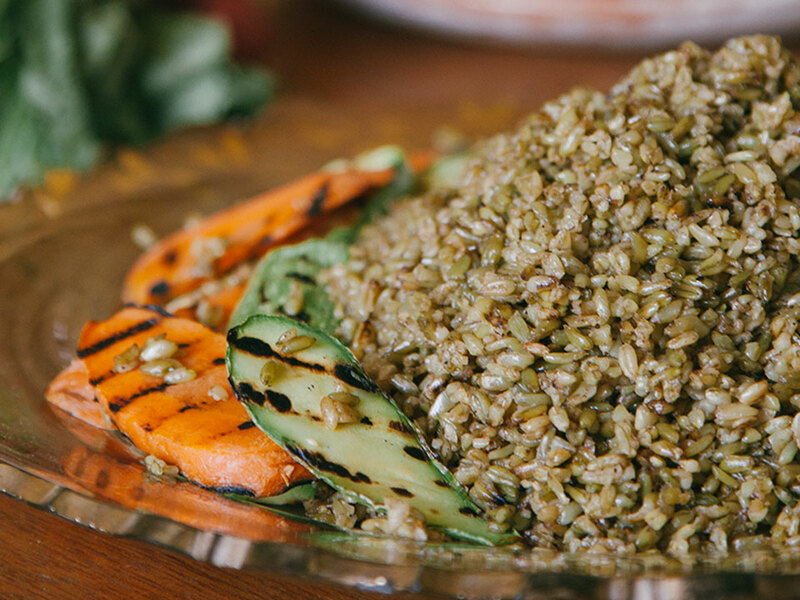 Her frikeh is so tasty that it needs no accompaniment of meat of chicken, but is perfect on its own, with just grilled vegetables. 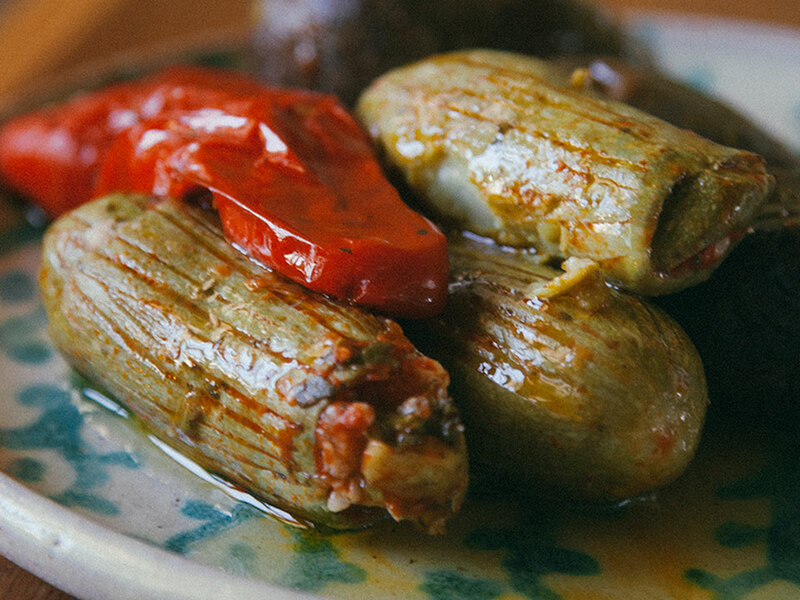 Meat (and rice) stuffed zucchini are a staple of Lebanese home cuisine. Preparing whole zucchini for stuffing is a tricky job; the smaller, the better (look for finger-size zucchini . . . yes, this exists! ), though this makes coring them more difficult. 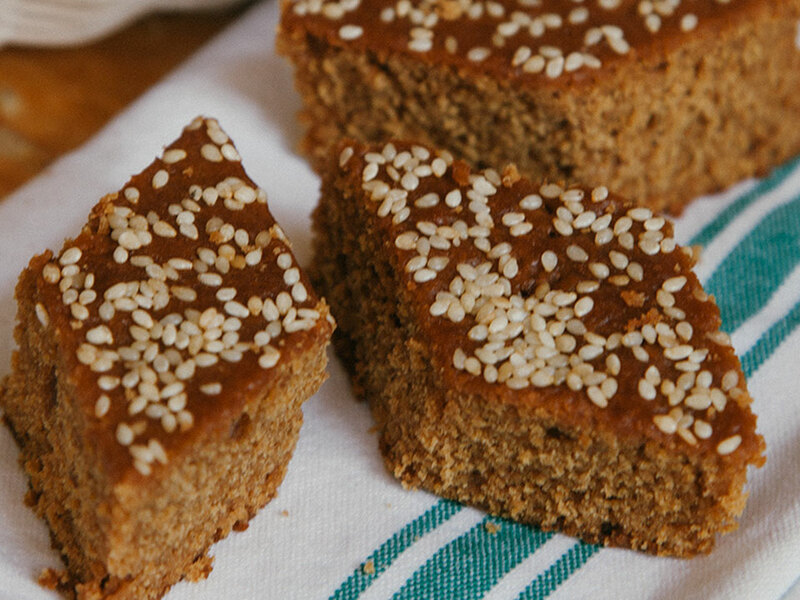 Sfouf is a simple butter-free, egg-free cake made from flour and carob molasses. Simple and healthy, it’s the definitive mountain sweet. If you have a recipe you would like to share with Slow Food Beirut, please contact us. You will be credited for your effort.